With a wooden handle and a cast iron body, this ultimate design classic is as functional in the kitchen as it is appealing on the dining table. The Sarpaneva pot was designed in 1960 by Timo Sarpaneva and was awarded a silver medal at the Milan Triennale the same year. 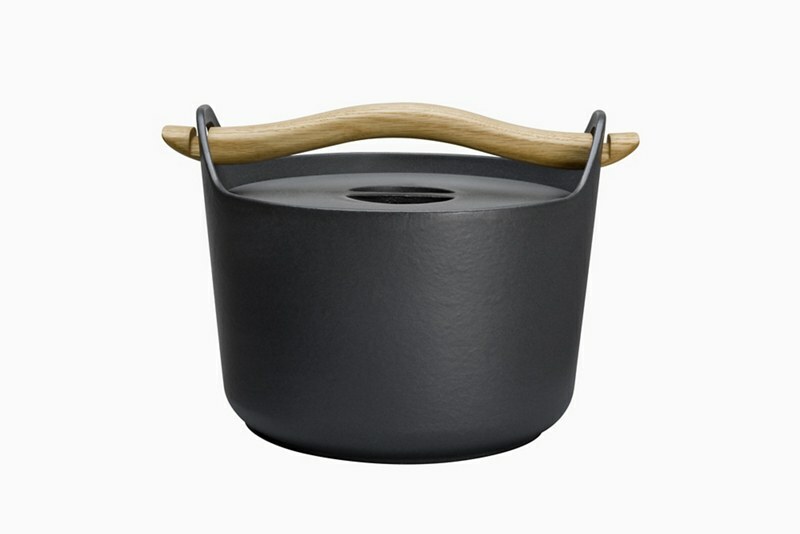 Combining design usability with a traditional cast iron pot, Sarpaneva's inspiration came from his blacksmith grandfather. 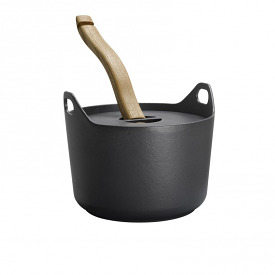 The Sarpaneva cast iron pots can be used both on the stove and in the oven. 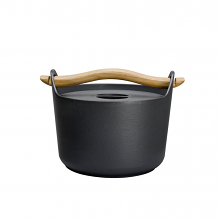 The enamelled surface guarantees that no flavour sticks to the pot.